The week is young, but I promise you, this is the funniest thing you’ll hear all week. Bryan Cranston is a great actor and Breaking Bad Is A Great Show. But I have to tell you, he is one half of one of the greatest comedy teams of our time. Listen to this recent Adam Carolla Podcast episode. If you’ve never listened to Adam’s podcast, you’ll hear why he’s the new Howard Stern: i.e., the greatest broadcaster of our time. You’ll also hear “Gay Eye.” And you’ll hear why Bryan Cranston is not just a great actor, he’s a great comedic partner for someone who knows what to do with him. 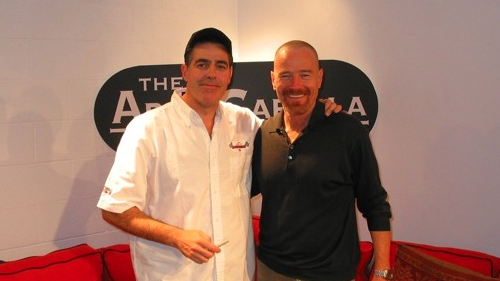 One Response for "Bryan Cranston And Adam Carolla – Gay Eye"